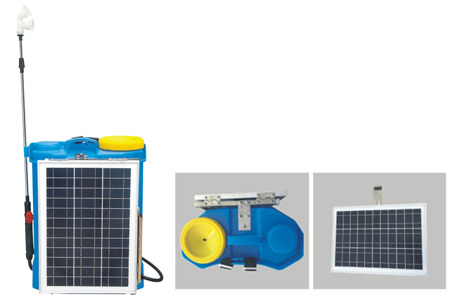 ﻿ Solar Plwer Sprayer GF-16D-01ZT,Solar Plwer Sprayer Manufacturer,Supplier,Factory - Taizhou Guangfeng Plastic Co.,Ltd. Well suited for wheat,corn,rice,fruit tree,greenhouses,grapes,tobacco,tea,horticulture and other agriculture crops spraying,also suited for the large spaces pest control and sanitation prevention.Anexcellent sprayer designed for continuous work for remote areas in the wild,high mountains,tea plantations. If Solar Plwer Sprayer GF-16D-01ZT product is not what you want, we can be customized according to your needs, please send us your order to Email: sales@chinasprayer.com.cn , or click here to post your buying lead.